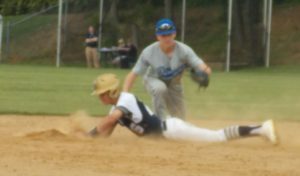 WILMINGTON – Salesianum scored three first-inning runs against Dover in the teams’ DIAA baseball tournament quarterfinal matchup May 30, but the Senators shut down the eighth-seeded Sals’ offense after that. Dover, the 17th seed, chipped away at the lead, tied the game in the sixth and won it, 4-3, in nine innings on a steal of home by Joe Gray. 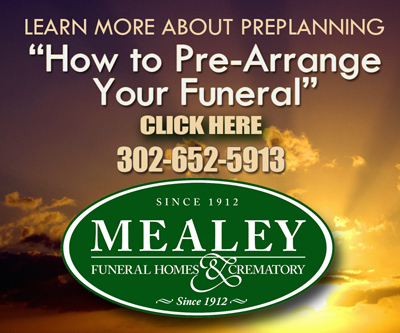 With the bases loaded in the top of the ninth, Gray took his lead at third base. He took off for home and slid in safely when Jon Baker’s pitch hit the dirt and could not be handled by catcher Anthony Frechette. Senators pitcher Dom Velazquez struck out the side in the bottom of the ninth, stranding a two-out base runner. Velazquez was dominant in his two innings of relief, following an oustanding performance over the weekend in leading the Senators to an upset of No. 1 William Penn. He entered in the eighth inning with the bases full of Sals and nobody out. He retired the next three batters, all on strikeouts. He was the second Dover hurler to confound Sallies. Hiram Davis entered the game with one out and two runners on base in the first with the Senators trailing, 3-0. He closed out the first with a groundout and a strikeout, and he pitched into the eighth without allowing another run. The game started on a bright note for Salesianum. The first three batters reached on walks, and Conor Murphy’s groundout scored Zach Gwynn to drive in the first run. 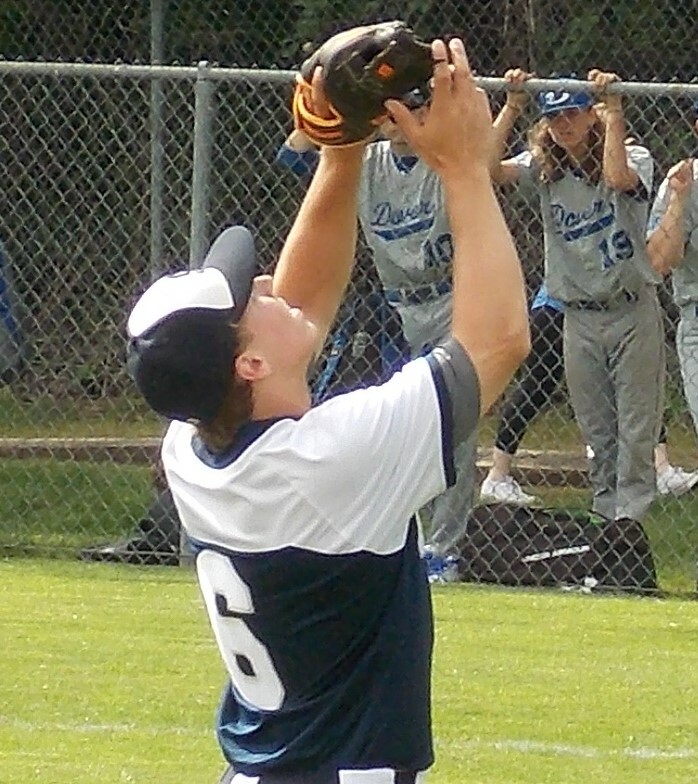 Frechette lined a single to center, scoring two. After starting pitcher Andrew Carney walked another batter, Davis was summoned, and the Sals would not score again. Dover tied the game with single runs in the second, third and sixth innings. Sallies starting pitcher Ryan Campbell walked two and allowed a bunt single in the second, and Carney scored on a fielder’s choice. In the third, Alec Rodriguez opened with an infield single. He advanced to second on a walk, and after Campbell retired the next two batters, Christopher Dabney brought him home with a single. Dabney walked to open the sixth. Again, the next two batters were retired, but a single and an error allowed the tying run to score. Salesianum finished the season at 13-7. 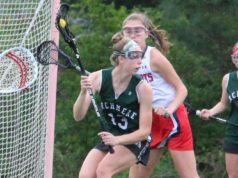 The Senators will look for their third straight tournament upset on Friday when they meet Henlopen North rival Cape Henlopen, the fourth seed, at 4 p.m. at Frawley Stadium in Wilmington. In another quarterfinal matchup, No. 3 St. Mark’s received a complete-game three-hitter from Jack Dubecq in a 4-1 win. 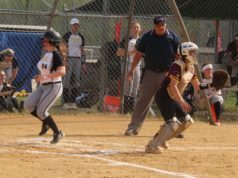 The Spartans advanced to the semifinals, where they will meet Caravel in a rematch from the semifinals last season. 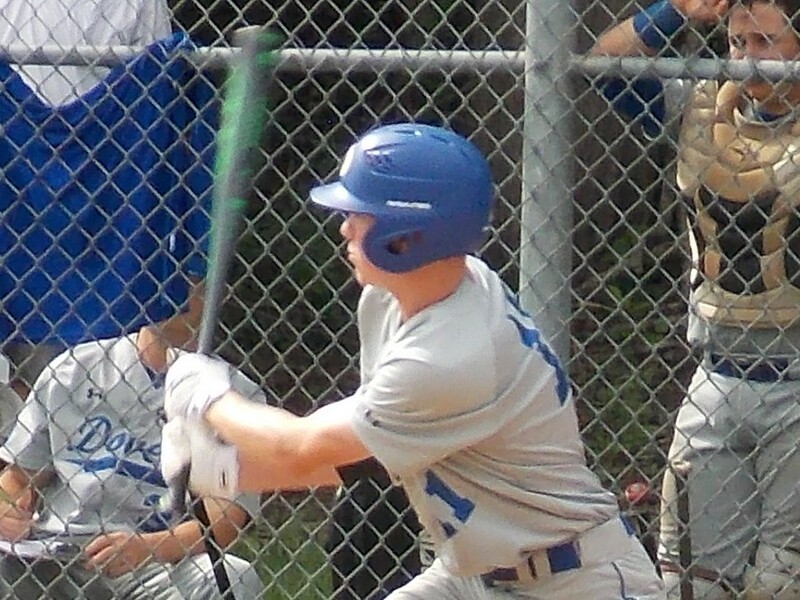 Dubecq had seven strikeouts on the afternoon, while Brian Gilardi had two hits for St. Mark’s. 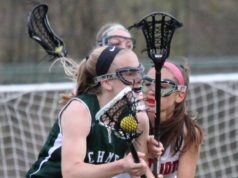 The Spartans fell to Caravel, 10-7, on April 10.